Meanwhile, heat oven to 350°F. Spray 12x8-inch (2-quart) glass baking dish with nonstick cooking spray. 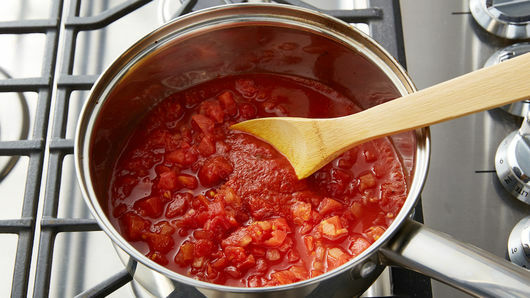 In medium saucepan, combine pizza sauce and tomatoes; cook until thoroughly heated. 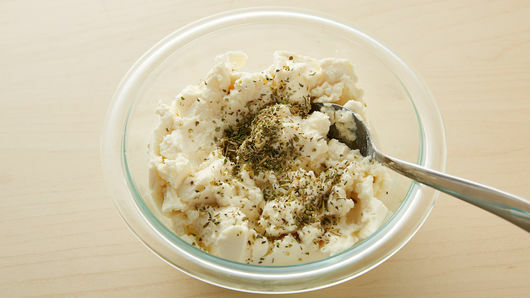 In medium bowl, combine ricotta cheese and Italian seasoning; mix well. Spread 1/4 cup sauce mixture in bottom of sprayed baking dish. Arrange 3 cooked noodles over sauce in baking dish. Spoon and spread half of ricotta mixture over noodles; top with 1/2 cup mozzarella cheese, 1 cup sauce, 1/3 each of the pepperoni slices, mushrooms, olives and bell pepper. Repeat layers once. Top with remaining 3 noodles, sauce, mozzarella cheese, pepperoni slices, mushrooms, olives and bell pepper. Sprinkle with Parmesan cheese. Bake at 350°F. 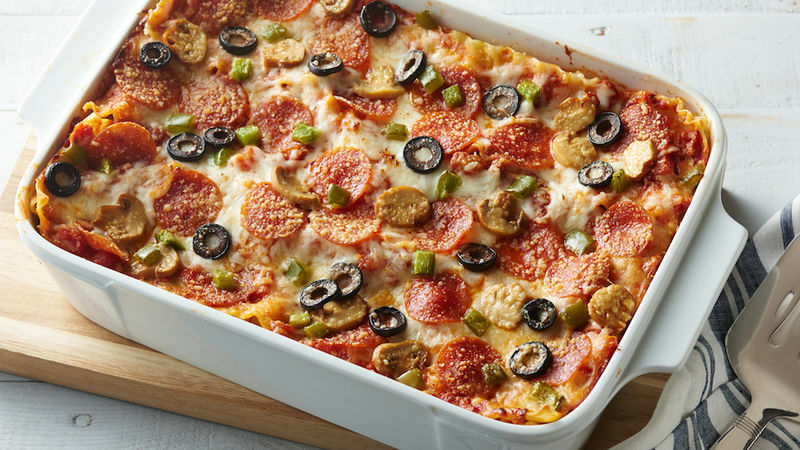 for 30 to 35 minutes or until lasagna is bubbly. Let stand 10 minutes before serving. Lasagna is one of the most versatile dishes out there; whether you change up the technique or the flavor, the possibilities are infinite so you’ll never grow tired of this classic Italian dish. The traditional and original dish from Italy uses béchamel sauce, which is a white sauce cooked over the stove, but nowadays it’s commonplace to see lasagna with a red, tomato-based sauce, such is the case with this Pizza Lasagna that uses pizza sauce. This recipe calls for jarred pizza sauce, but you can make your own if you find yourself with a little time on your hands. 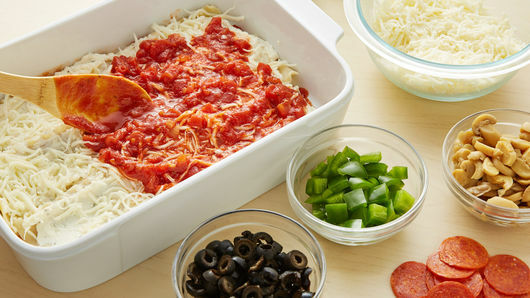 Our 5-Ingredient Pizza Sauce recipe only takes five minutes! Want to master the more traditional lasagna? Click here for the step-by-step instructions on how to make the classic version and then go beyond the basics with our other creative ways to make lasagna.